I mentioned on the blog the other day about how I’ve been trying out organic skin care, and how the condition of my skin has been improving. In fact in the last couple of months I’ve become somewhat of a skin care junkie, putting all sorts of lotions and potions on my face. I think I’ve finally mastered a good skin care routine, but I’ll have a whole separate post dedicated to that another day. One thing that’s become a favourite in my skin care routine is the L’oreal Paris Youth Code Youth Boost Serum. Checkout L’Oreal Paris Youth Code Products on Amazon Now! I’ve always had awful skin. I started getting spots around the age of 9/10, and my skin never really has grown out of that stage. Although I haven’t got bad acne anymore, my skin is still very spot prone. I’ve found some grest products for when I get a bad breakout which I’ve blogged about here. Apart from spots, my skin can get really dry due to me having eczema , get red patches, and often looks dull. Until recently I did nothing with my skin, but in the last 6-8 weeks I’ve been sticking to a skin care routine and introducing new products into it. I’m still learning about skin care, so if you have any recommendations let me know! Now i realise at 21, i’m not really the target audience for a ‘youth boosting’ product, but this has been doing great things for my skin. I’m not sure if it’s making my skin ‘younger’, but it’s making my skin feel softer, more radiant and it’s evened out my skin tone. I’ve been using this as part of my skin care routine in the evenings after cleansing and toning, before I moisturise. I find all I need is one drop, so this is going to last me quite a while. Its not too greasy if you want to use it in the mornings. 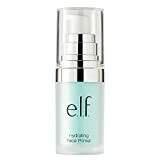 I find it’s not too sticky like some serums and oils can be, and it quickly absorbs into the skin. This is part of the L’oreal Youth Code range which I believe has a moisturiser, eye cream and night cream. When I bought this a couple of months ago it was around the £25 mark, but I’ve seen it’s around £17 in Boots, and £15 in Superdrug currently. So if you fancy trying this out, you should get it while it’s in offer! Before using this I hadn’t tried out any serum type things, the closest I’d come is with Superdrugs Vitamin E Skin Oil which I blogged about here. I’ve heard good things about Estée Lauder Avanced Night Repair, but I’m not sure I can justify the £44 price tag. But until I can afford that, I think this will become a permant feature in my skin care routine.